NIGHT WATCH SECURITY SERVICES LTD is committed to encouraging staff training and development because it benefits both the employee and NIGHT WATCH SECURITY SERVICES LTD, increases staff motivation, improves employee performance and productivity and encourages staff retention. Employees who have worked for NIGHT WATCH SECURITY SERVICES LTD for a continuous period of 26 weeks have a statutory right to request time off for study or training and to have that request considered by NIGHT WATCH SECURITY SERVICES LTD.
Employees may submit a request for time off to undertake any type of study or training provided that they can reasonably demonstrate that it will improve both their effectiveness in NIGHT WATCH SECURITY SERVICES LTD’s business and the performance of NIGHT WATCH SECURITY SERVICES LTD’s business. Employees’ requests can be to undertake accredited training programmes leading to the award of a recognised qualification, or for unaccredited training to help them develop specific skills relevant to their job, their workplace or the business. The proposed training can be undertaken at any location, take place whilst the employee performs their job duties or separately, can be provided or supervised by NIGHT WATCH SECURITY SERVICES LTD or externally by a third party such as a local college or training provider and can be undertaken with or without supervision. The employee may also include more than one course of study or training in one request. However, any training requested must be relevant to the employee’s employment within NIGHT WATCH SECURITY SERVICES LTD.
Subject to limited exceptions, the employee must not have made another application for time to train under the statutory right during the previous 12 months. The employee should first make their request in writing to NIGHT WATCH SECURITY SERVICES LTD setting out their proposal for time off for study or training. A Time to Train Application Form can be obtained from (name). Requests may not be submitted more than once every 12 months. Within 28 days of receipt of this application, NIGHT WATCH SECURITY SERVICES LTD will set up a meeting with the employee to discuss the time off for study or training the employee has proposed, the relevance of it to their employment, the effect of any time off and any possible alternative training arrangements that might meet the employee’s training needs and suit both parties. The employee has a right to be accompanied at this meeting by a work colleague.  NIGHT WATCH SECURITY SERVICES LTD will properly consider the request and will make a practical business assessment on whether, and if so how, the time off for study or training request could be accommodated. NIGHT WATCH SECURITY SERVICES LTD will notify its decision to the employee within 14 days of the meeting. If NIGHT WATCH SECURITY SERVICES LTD accepts the employee’s request, it will confirm the details of the agreement to the request in writing. If the application is refused, NIGHT WATCH SECURITY SERVICES LTD will explain the business grounds for refusal in writing, why they apply in the circumstances and will confirm the internal appeal procedure. The employee can appeal against a refusal within 14 days of receipt of NIGHT WATCH SECURITY SERVICES LTD’s decision notice. The appeal notice must be in writing and set out the grounds for appeal. NIGHT WATCH SECURITY SERVICES LTD will then set up a meeting with the employee to discuss the appeal within 14 days after receiving the employee’s appeal notice. After that meeting has been held, NIGHT WATCH SECURITY SERVICES LTD will write to the employee within 14 days to notify the employee of the outcome of the appeal. The proposed study or training would not improve the employee’s effectiveness in the business. The proposed study or training would not improve the performance of the business. Inability to re-organise work among existing staff. Insufficiency of work during the period when the employee proposes to work.